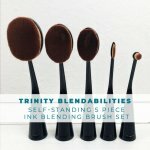 Frustrated with ink blending? Does your arm get sore trying to get that beautiful blend with your current foam blending tool? 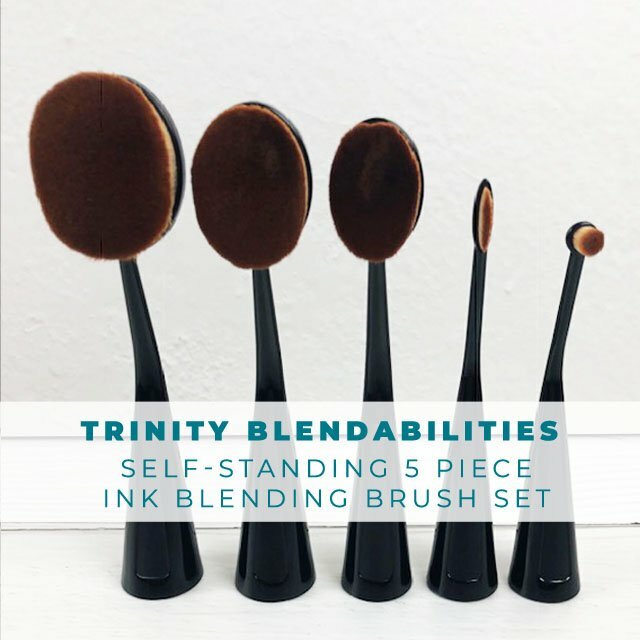 Not anymore with Trinity's Blendabilties! These oval style brushes make blending a breeze plus they clean up easy AND they are self-standing, so no inky desk! This affordable brush set comes with 5 pieces and is an essential tool for any crafter. Not ready to dive into a big set like this? 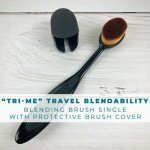 We have a wonderful single brush option with our "Trinity Tri-me Travel Blendability brush" Click HERE to view our cute travel single!